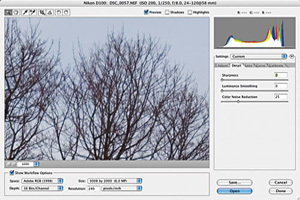 Almost every RAW file requires some degree of sharpening to counter the effect of blurring that occurs at some stage of image capture or image processing. But when do you apply the sharpening? In Camera Raw or later in Photoshop? The answer isn't as straightforward as you might think. In this excerpt from "Photoshop CS2 RAW", Mikkel Aaland shows you how to sharpen your images with confidence. I worked with Mikkel on a chapter of Photoshop CS2 RAW, and have some images in there that I captured at Pt. Reyes. The entire book is good, and this excerpt on sharpening is particularly useful.